Proven anti-pitch and anti-snake control. Quick release device. Fitting instructions included. Includes standard bolt on car bracket (holes 18mm diameter, 90mm horizontal centre). Complete with clamp on 'L' bracket, adjustable for width and depth - no need to drill caravan chassis. Utilises asbestos free 100mm diameter friction discs. Curved leaf spring 50.8mm wide x 5.6mm thick. 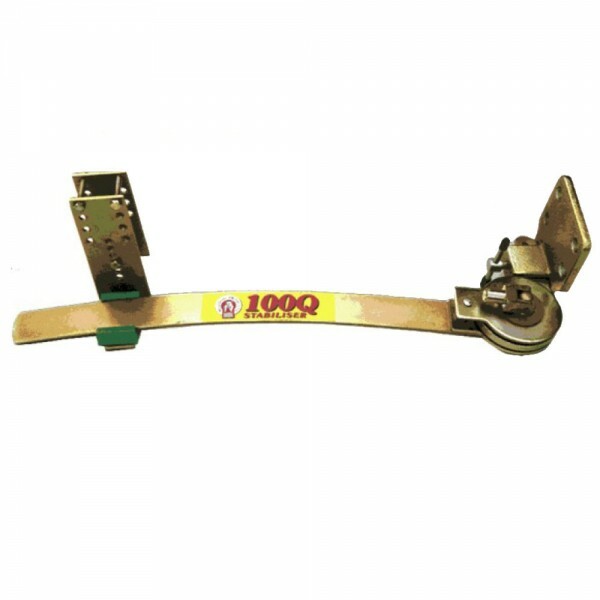 A full range of non-standard car brackets and caravan angle brackets are available. British manufactured and sold with Bulldog 5 year Guarantee.